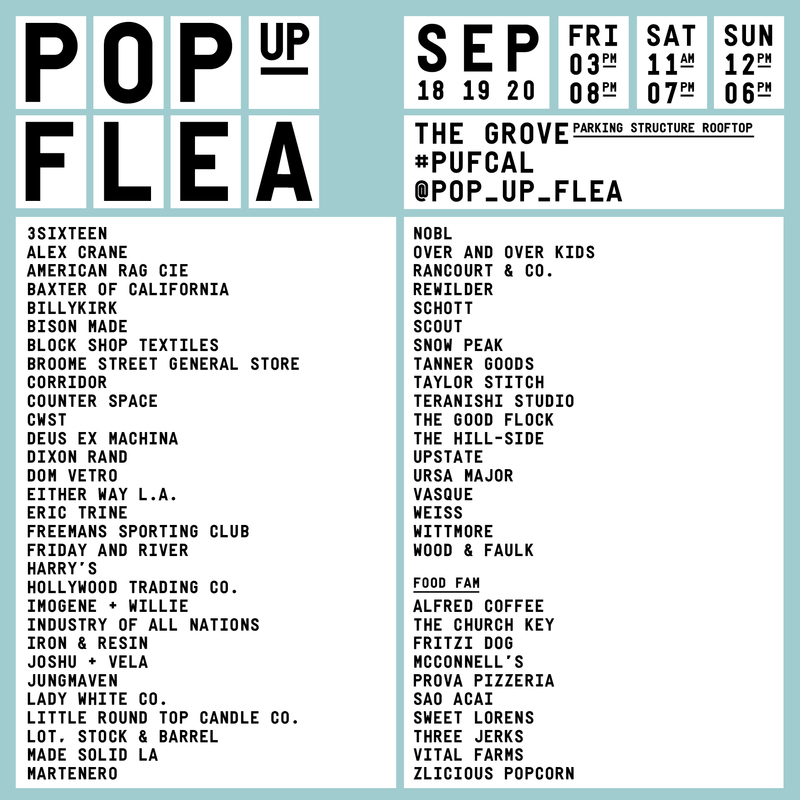 This Weekend: Pop Up Flea Los Angeles | A Continuous Lean. This weekend we’re setting up our Pop Up Flea market for the first time in Los Angeles. There are over fifty great vendors offering a strong line-up of vintage, menswear, home goods, footwear, accessories and all sorts of other good things. We kick off this afternoon at 3pm and run through the weekend. The sun is out and there’s an awesome selection of cool stuff from a bunch of awesome people. Follow along on Instagram and come by to say hello.